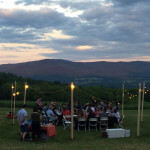 Editor’s Note: Thank you to our friend Uwe Kristen of Der Kellermeister for the second story in our “Moved by a New York Wine” series. 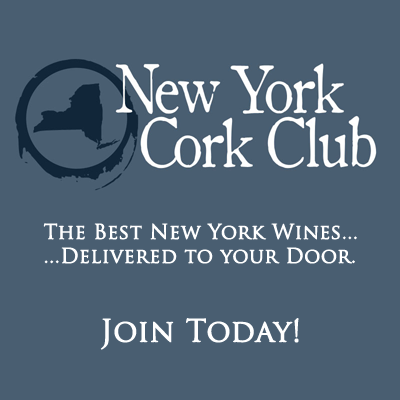 If a New York wine has moved you, let us know. White wine is still considered to be less age-worthy than red wine. Which, of course, is not true. Riesling, in particular, can age for decades. Once bottled, wine is not a finished product. It is still very much alive. Give it some years to fully express itself and you shall be handsomely rewarded. 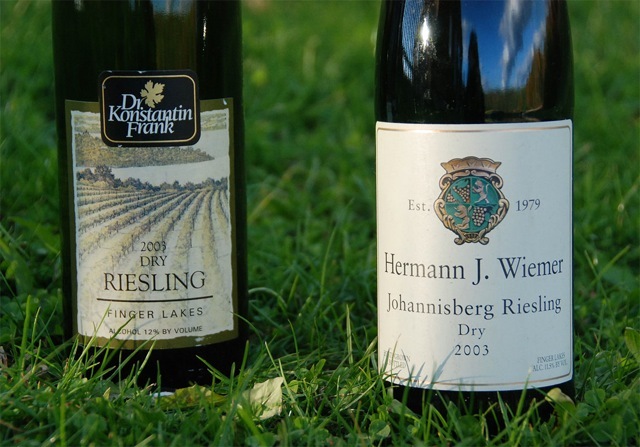 I had been holding on to two Finger Lakes rieslings from the 2003 vintage in my cellar. Relics from my first and memorable trip to the Finger Lakes in 2004, when I visited Hermann J. Wiemer Vineyard and Dr. Konstantin Frank Vinifera Wine Cellars, among other wineries. It was not my plan to put these two wines away and let them do their magic over time. Rather, nostalgia helped to leave these two last bottles untouched for almost ten years. I remember well how busy the tasting room at Dr. Konstantin Frank was when I visited the winery on a Saturday afternoon in late August of 2004. So busy indeed that I feared all of the wine to be sold out before I had settled my mind on what to bring back home. I left with a case of the 2003 Dry Riesling under my arm. The tasting room at Hermann J. Wiemer was quieter. Wiemer suffers the same fate as riesling of being constantly misspelled (it’s “i” before “e”) and perhaps it is out of solidarity why Wiemer and riesling are such a good match. When the lady behind the counter in the tasting room learned that I was German (like Hermann) her eyes lit up. She praised the kindness of her boss but then confided to me that “most Germans have a rather grim view of life.” I raised the sample I was tasting, toasted her apt description of the burden I grew up with and left with a case of the 2003 Johannisberg Riesling Dry. Back then it was still called “Johannisberg Riesling” after the famous Riesling village in Germany’s Rheingau region in order to distinguish it as being made from the true riesling grape variety. Of these two cases I still had a bottle each left. A wine-loving friend had joined us for dinner when I decided to open two rieslings that were older than many of the Finger Lakes wineries. We had no idea what to expect as there is little aged riesling from the Finger Lakes available. For all I knew, I may have waited already for too long. Not all wines mature equally well. In order for a wine to improve with age it needs to have a solid structure to build on. In red wines this structure comes in the form of chemical compounds called phenolics, which over time react with each other and change the color, aroma and flavor of a wine. Phenolics are found primarily in the skins, seeds and stems of the grapes, but to a certain degree also in the juice. 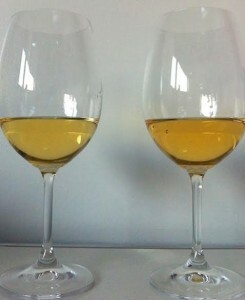 White wines usually have fewer phenolics. 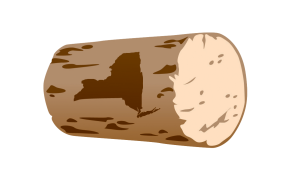 The skins are lighter and the must after pressing is usually fermented without or very little maceration (although some winemakers in the Finger Lakes have started experimenting with extended maceration for white wines). Riesling compensates the lack of phenolics with higher acidity levels and/or residual sugar. More exposure to sunlight also increases the phenolic content in the juice. Fred Frank of Dr. Konstantin Frank described the 2003 growing season to me as “not as warm or dry as 2001 or 2005, yet better than 2002 or 2004.” With better I assume he means riper. With the right balance of acidity and ripeness a Riesling does not need to be sweet in order to age over a long time. And indeed, these two dry Finger Lakes rieslings from 2003 had aged beautifully, albeit in very different ways. The Dr. Konstantin Frank 2003 Dry Riesling had a light golden color. Its aroma was still relatively youthful, herbal and full of citrus fruit. The acidity was very lively, which did not surprise me. 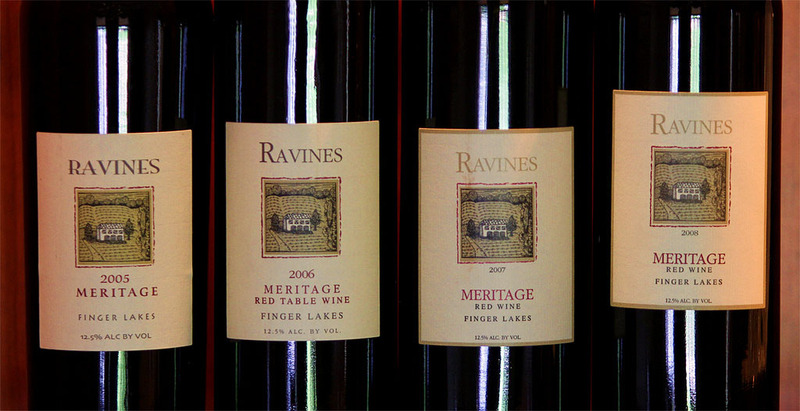 After all, Morten Hallgren, who now owns Ravines Wine Cellars, was the winemaker at Dr. Frank back in 2003. Morten is a master of acidity. This Dry Riesling had a very pleasant soft mouthfeel, the acidity and the flavors of grapefruit, herbs and stones were very well balanced and lingered on through a fairly long finish. 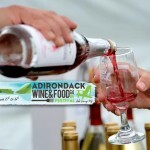 The grapes came primarily from their Keuka Lake vineyards, which have very rocky soils with lots of shale and steep slopes. Hermann J. Wiemer’s 2003 Johannisberg Riesling Dry was a bit darker in color and its bouquet was more mature. Saturated peach, orange peel and honey, with a hint of kerosene (the latter can be found often in aged riesling). The acidity was still quite high, yet softened by age. The flavors of peach, honey and spices were beautifully mellow and lasted through a long length. A perfectly balanced aged Riesling. 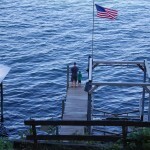 The 2003 vintage may be one of the best of the last ten years in the Finger Lakes. 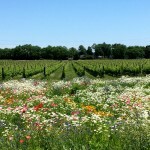 Cooler temperatures during the growing season helped retain the acidity in the grapes, which at the same time must have had enough sunshine to ripen into such beautiful wines. We enjoyed the wines as an aperitif and then during dinner with food. All three of us agreed that both rieslings had aged very well during their first decade. Where the Dr. Frank Riesling showed more vigor the Wiemer responded with perhaps a bit more depth. Both wines were very elegant and impressive examples of aged riesling from the Finger Lakes. 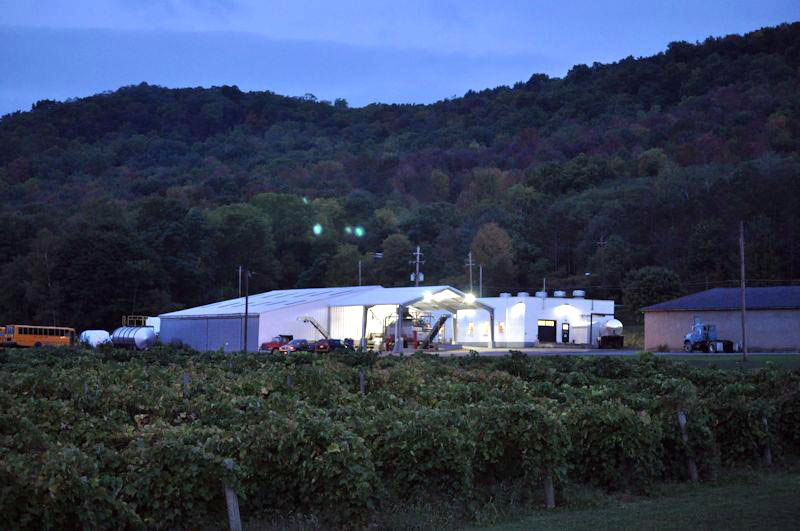 Riesling from the Finger Lakes isn’t one for the cellar? Ha ha to that.